Palm's CEO Ed Colligan has promised some 'breakthrough' devices from the firm next year, saying that the next version of the Palm operating system will be the saviour of the company. 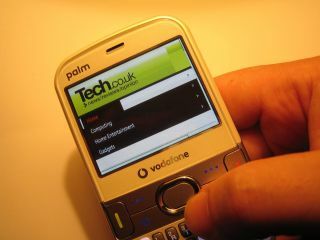 Speaking to analysts during a conference call, Colligan announced that Palm is busy developing some 'revolutionary designs' due for release in 2008. "We're working on it," Colligan said several times in the conference call, according to RCR Wireless News. He also mentioned a new Linux-based operating system, and additions such as Wi-Fi and GPS capabilities as well as expanded memory and better display technology. "We're not stopping short of revolutionary designs," Colligan said. Palm recently reported a loss of $9.6 million during the past quarter but Colligan was confident things are looking up. Last August, Palm had 33 per cent of the US smartphone market - this figure has now slid to 24 per cent, according to data from ABI Research. Rival Research in Motion, maker of the BlackBerry, grew to 44 per cent from 33 per cent in the same time period. Palm said it will reduce the number of devices in its line-up as a cost-cutting measure.